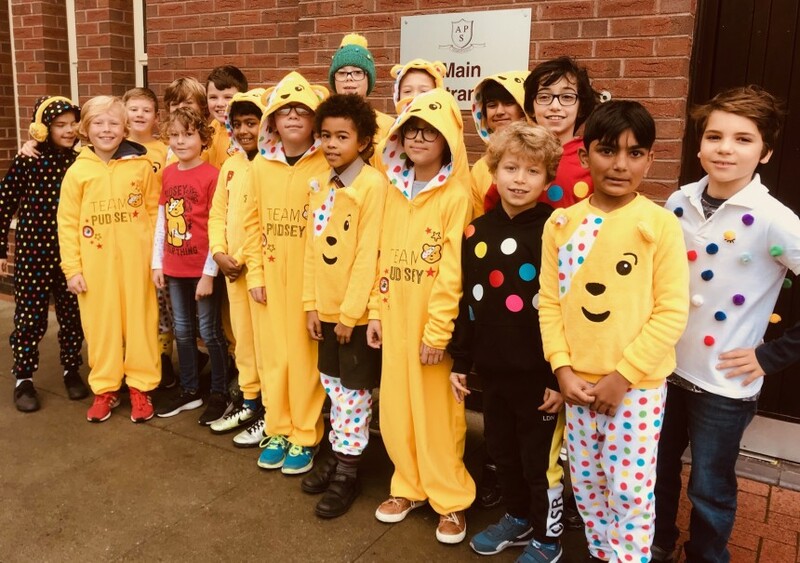 Altrincham Preparatory School looked "spotacular" today as boys wore special outfits to raise hundreds of pounds for the Children In Need campaign. From nursery to Year 6, every boy made a small donation to come into school with spots on their clothes or in Pudsey costume. The Spotacular Children In Need day was organised by the boys after School Council decided that it was an important charity to support, given it aims to help children just like them. Posters were made to raise awareness of the day and boys (with a little help from home) got into the spirit with fantastic spotted costumes. “Part of School Council’s role is to nominate a charity each year, and it’s really important that we think about children who aren’t as lucky as us, who need medicine, or care, or help in some way,” said Henry from Year 6. “We need to raise this money because all children deserve to be happy, rather than suffering,” added Luke from Year 4. “We are all really lucky to be healthy and have happy and secure lives,” agreed James from Year 5.